Here at Jardine Law Offices, our skilled juvenile crime attorneys in Farmington and all across Utah put our best and tried-and-true practices for good use to help protect the legal rights of juveniles and avoid serious consequences for theft and other juvenile crimes. Home > Blog > How Serious are Juvenile Theft Crimes (And How Your Minor Can Avoid Juvenile Detention Facility)? 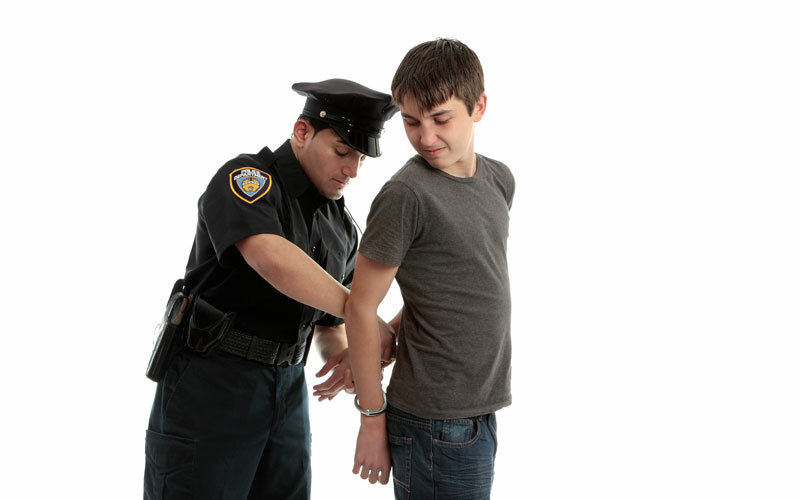 Legal consequences of juvenile theft crimes can break a minor’s life and turn it upside down. Although under federal and state laws in Farmington and elsewhere in Utah penalties for juvenile criminals are not as severe as for adults, poor legal representation and inadequate criminal defense for juvenile offenders can leave an indelible mark on the life of a minor accused of a theft crime. Fact: even though the overall rate of juvenile arrests for all offenses has declined by nearly 70% in the past two decades, theft crimes still remain quite popular among minors in Farmington. Late last month, a 15-year-old girl with a prior record of car thefts and burglaries was taken into custody after stealing three cars and burglarizing another four in Farmington. The Farmington police were able to locate the juvenile offender thanks to GPS tracking systems in two of the stolen cars. An experienced juvenile crimes attorney here at the Jardine Law Offices in Farmington explains that whether a minor was taken into custody for robbery, burglary, car theft or shoplifting, he/she can avoid severe punishment by having a skilled attorney on his/her side. The thing about juvenile crimes in Farmington is that a minor can either face severe punishment, including incarceration in a juvenile detention facility, or rehabilitation. Those whose lawyers succeed in convincing juvenile courts in softening the punishment through a successful legal representation typically get rehabilitation. Those whose lawyers failed to convince the judge or who are not represented by a legal team at all, on the other hand, may face severe punishment and imprisonment in a juvenile detention facility. How to avoid juvenile detention facility in theft crimes? Our juvenile crimes attorney explains that many parents of minors who violated the law in theft crimes do not realize how such cases are processed in juvenile courts. whether the offender committed other crimes along with theft. If you are a minor and are being accused of theft or other juvenile crime – or you’re a parent of a minor taken into custody – it’s imperative that you seek the legal advice of a Farmington juvenile crimes attorney who’d be well-versed in juvenile crime laws and protections that may apply to your particular case. Considering the severity of the Farmington involving the 15-year-old girl (see above) – more than one car was stolen and even more were burglarized – and considering the girl’s prior background with such offenses, mitigating the penalty may be more difficult, though still possible. Other penalties may apply depending on your particular circumstances. It’s vital to seek the legal advice of an experienced juvenile crime lawyer in a timely manner to reach a successful resolution and help your child avoid a severe punishment (juvenile detention facility). Consult our attorneys today by calling at 801-350-3506 or complete this contact form for a free case evaluation.